After the Golf GTI, Volkswagen prepares yet another hot version of the Volkswagen Golf. 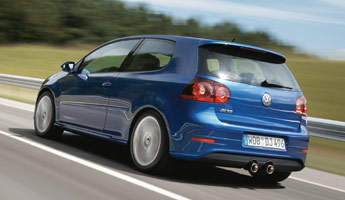 The next Volkswagen Golf R32 is set to debut at the Frankfurt Motor Show this September and will go on sale in Europe by the end of the year. 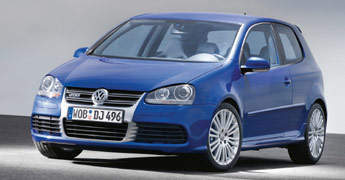 The R32 will be powered by a 3.2 litre V6 making 250hp, as opposed to the Golf GTI’s 2.0 turbocharged 200hp engine. The 250hp motor will be linked to either a six-speed manual or dual-clutch direct sequential gearbox (DSG) sending power to all 4 wheels. 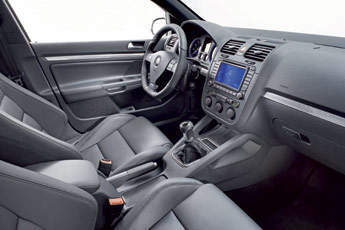 The DSG-equipped model goes from 0-100km/h in 6.2 seconds. The bodykit of the Golf R32 includes an aluminium grille as opposed to the honeycomb black grill of the GTI, 20 inch wheels with brake calipers painted blue and nice shiny dual exhaust outlets at the back.